Crocker Stephenson crafted his award-winning journalism career, in part, on his acute observation skills. 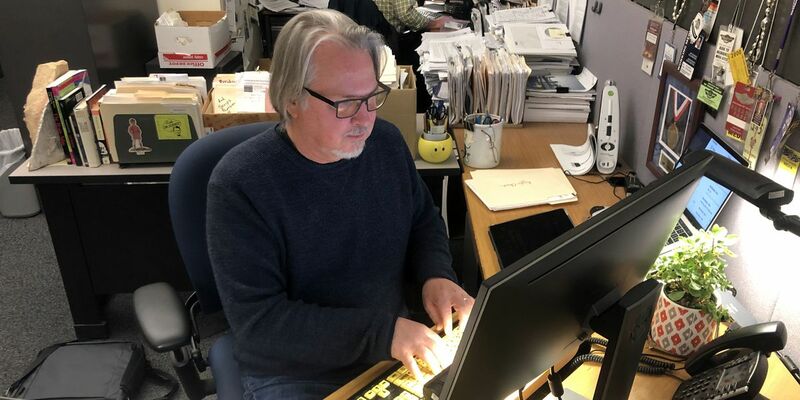 Whether he was covering crime or public affairs, writing features or just filling in on a holiday, his stories for the Milwaukee Journal Sentinel were filled with lush descriptions, painting a picture of a scene, person, or situation. But two years ago, his vision suddenly started to deteriorate. As his vision dimmed, Stephenson had to adjust his life, and he had to rely on other people. With that reliance, Stephenson began to notice other things. So, with that realization, Stephenson proposed to write a short series of experimental columns to George Stanley, the editor in chief at the paper. Two years later, Stephenson isn’t running out of ideas. Earlier this year, Stephenson wrote about Cindy Bentley, one of the most decorated and award-winning Special Olympians in the world. She suffered terrible burns and abuse as a child before sports, specifically Special Olympics, saved her. Today, Bentley gives away her medals to people who need encouragement. Stephenson has written dozens of columns, and though some of the themes resurface occasionally, they’re all about unique people — like the group who paints positive messages on rocks and leaves them around the city; or the injured blimp pilot who returns to Milwaukee every year from his home in Atlanta to help raise funds for Kathy’s House, where his family stayed while he was hospitalized; or the caretaker who not only got her charge out of her room but out of the house, dancing and going on adventures. Since he started his column, people send him tips, though not every tip turns into a story. Sometimes, he will write short pieces on Facebook. “Those are my favorite,” he says. “This nurse sent me an email. She had been working a late shift, and a police officer came in with a homeless guy he had found in a park, with just plastic bags on his feet, no shoes or socks, and he was afraid the man might have frostbite. When she went to check on her patient, he was wearing a pair of brand new shoes and socks. Stephenson couldn’t write a story about this policeman — he couldn’t track him down after the fact, but by sharing it on Facebook, the story got out, and “there’s a whole community sharing these stories,” he says. And there’s a whole community of people out there, doing kind things. “The people who do kind things really aren’t looking to have their kind acts publicized – these aren’t the people yelling and screaming about what they’re doing,” he says. Sometimes, the same people show up in his stories. “One of the first stories I wrote about was this group of people, who, at the beginning of winter, take clothes and put them in plastic bags with notes of support like ‘You matter’ or ‘You are loved,’ and they hang these bags on trees,” Stephenson says. Koetting says while groups doing interesting or amazing events are covered in Better Angels, most of Stephenson’s columns are about just one person. “What we’re really trying to focus on are individuals who go out of their way to make the world a better place,” Koetting says. These columns, Koetting says, have inspired some people to take action. These ideas have also transformed Stephenson personally. 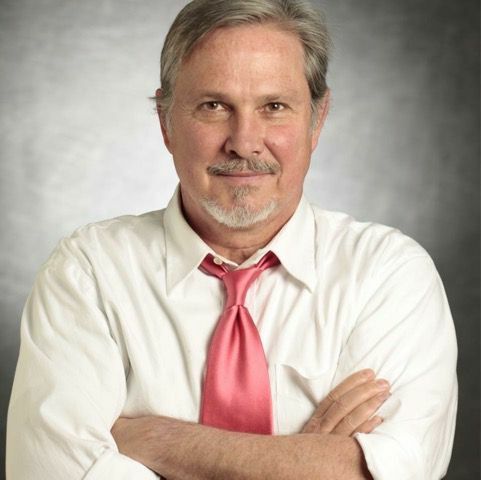 Koetting notes that Stephenson isn’t the only reporter or columnist chronicling everyday goodness, but he is in a unique place to write about them. “His columns come from a special place because of his own disability,” Koetting says. Both Stephenson and Koetting hope that by writing about these stories and especially sharing them on social media, they can elevate the public discourse. 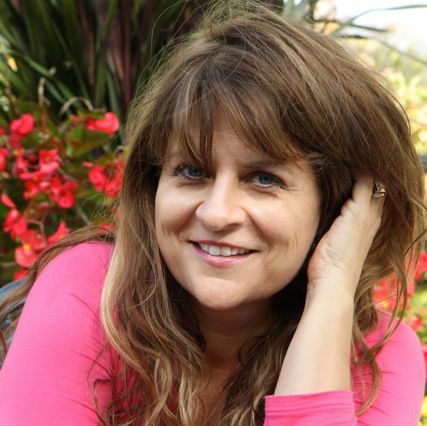 Jeanette Hurt is an award-winning writer and author of ten books, including the critically acclaimed Drink Like a Woman and most recently, The Passive Writer: How to Earn Money in Your Sleep. When she’s not working on her two latest books, she enjoys walking along Lake Michigan with her husband, their son, and their new rescue pup. PBS and local stations use expertise and the power of broadcast technology to help ensure public safety in communities nationwide. For one veteran, surrounding herself with civic-minded people brought her more fulfillment than corporate life ever could. Twice a year, children between 6 and 17 who have lost a significant loved one gather at Camp Hope for a weekend of support. A high school English teacher in Alaska shares how PBS's meaningful content keeps her energized and helps her avoid burnout. Wounded Warrior Project® (WWP) Soldier Ride® recently returned to Washington, DC for its annual events at the White House and Annapolis. The Center for Family Justice breaks the cycle of abuse and violence by providing services that create hope and restore lives. The Wounded Warrior Project offers mental health workshops that provide private environments for warriors to express themselves and share their experiences. Dame Vera Lynn established her charity to support children with cerebral palsy and other motor learning impairments. The second “Hole in the Wall Camp” opened in 1993 in New York's scenic Adirondack Park. Copyright © 2019 COMMONGOOD. All rights reserved. Common Good is a special initiative of Newman’s Own Foundation to help encourage philanthropy on a global scale by highlighting the wonderful, purposeful pursuits of charitable organizations, individuals, businesses, and others, acting on behalf of the Common Good and making our world a better place for all. Created and curated by the media company Narrative Content Group, the site provides a platform to share stories from a large and wide-ranging group of contributors with a diverse group of site visitors at no cost. Newman's Own Foundation paid for the site’s development and underwrites its annual stewardship.